Wearing gloves and a hat, a plump woman holds out a tray with a giant Panettone on it. She has a satisfied look on her face and even a double chin. She looks nothing like the graceful and elegant creatures designed by Gino Boccasile, who was a famed illustrator during the Fascist decades. A poster artist and an illustrator for newspapers and magazines, Boccasile began his career as a fashion designer in the 1920s. The women he portrayed for the Italian weekly “Le grandifirme” were slender, elegant figures representing the femininity of the time. 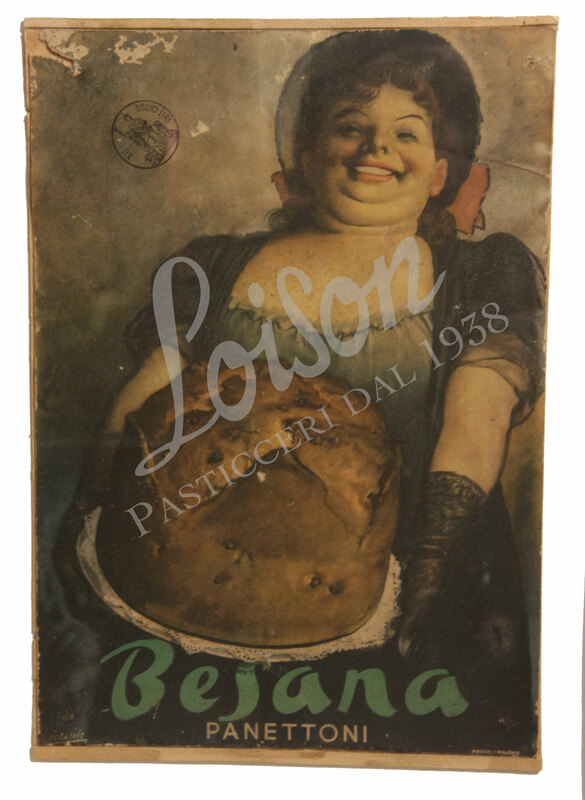 In the 1950s, he drew this advertising poster for Besana, a historical Milanese brand of Panettone makers in the early 20th century. The Panettone shown here is the tall, dome-shaped,soft sweet bread that we know today.